For Expert Carpet Cleaning, A Brighter Home are the pro’s. Covering Hertfordshire, Buckinghamshire, Bedfordshire, Berkshire, London and surrounding areas. 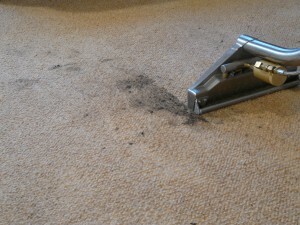 We have experience of carpet cleaning going back over 25 years. Approved by ‘Checkatrade.com’ and awarded ‘Which? Trusted Trader’ status, we provide quality, service and value for money. Our knowledge is second to none. You only need to deal with one company – Welcome to your Brighter Home. Using patented technology, we clean carpets better and dry them faster than many others. 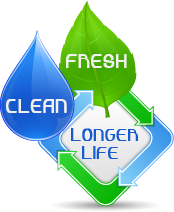 Our Eco friendly, child and pet safe carpet cleaning solutions are based on food grade ingredients. They work well on all types of carpets, including wool fibres, whilst leaving no dirt attracting residues, so your carpets stay cleaner longer. We hear this from our customers almost every day. Want to see for yourself what sets us apart from the rest? Call us today and try out our premium carpet cleaning service. Once you have experienced the Brighter Home difference, you won’t want to go anywhere else. With A Brighter Home, we leave no dirt attracting residues, we only use non toxic solutions and most importantly, we don’t leave your carpets soaking wet. With our carpet cleaning process we leave carpets dry in 1 to 2 hours, not days! 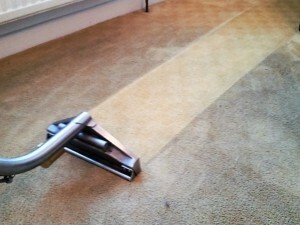 At A Brighter Home we also specialise in carpet cleaning stain removal. If you’ve had an accidental spill on your carpet, give us a call as we can almost certainly help. Our philosophy is simple. To carry out the most effective professional clean possible, whilst offering genuine value for money. If, for whatever reason, our carpet cleaning process doesn’t exceed your expectations and leave you thrilled with the results, we won’t charge you. Your peace of mind is guaranteed. We also clean rugs and sofas, including leather, just as beautifully! By cleaning & stain protecting your carpets regularly you not only keep them fresh & clean, they will have a longer lifespan too. 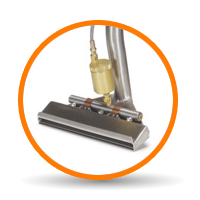 Over time tiny particles of soiling build up that normal domestic vacuums do not remove. Left in the carpet, these particles of soiling can lead to premature ageing of the fibres by abrasion each time you walk on them. Our gentle but highly effective professional carpet cleaning methods help with the removal of these damaging particles whilst also restoring the appearance of your carpets. Using Wonder Wand® cleaning technology with its patented air induction system, together with what we consider to be the most effective cleaning equipment available today, our quick drying carpet cleaning process will deep clean the carpets throughout your home, leaving most carpets dry in about 1-2 hours. We have a full range of products designed to assist us remove most stains. 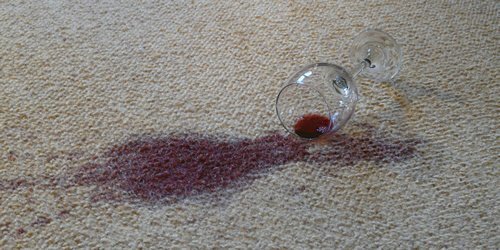 We can also stain protect your carpets against accidental spills, helping to reduce the risk of permanent staining in the future..
25+ years experience – we know what we’re doing! Q. Why do I need to have my carpets cleaned? A. Apart from the obvious reason of general day to day stains and soiling, it is most important to keep all types of carpets and rugs clean. Tiny particles of soiling build up over time that normal domestic vacuums do not remove – left in the carpet these particles of soiling can lead to premature ageing of the fibres by abrasion each time you walk on them. Our gentle but highly effective cleaning methods help with the removal of these damaging particles whilst also restoring the appearance of your carpets. Q. My daughter has asthma, is your cleaning system safe to use in our property? A. Although everything we use has been designed to be non-toxic, child and pet friendly, it is impossible to guarantee 100% that no one will have an adverse reaction to something we may use if they are particularly sensitive. Although it is unlikely your daughter would have a problem, our advice would always be to exclude any young or elderly members of the family, or pets from the areas cleaned until they are dry. Please remember though that regular cleaning of carpets and soft furnishings is one of the best ways to promote a healthy, dust free environment. Q. Do you also clean rugs? Q. I’ve been told that ‘truckmount’ carpet cleaning equipment gives the best results – is that what you use at A Brighter Home? A. No we don’t use ‘truckmounts’, but there are several reasons why. Although ‘truckmount’ systems can indeed give excellent results, they unfortunately come with many downsides – because the machine stays on the van (hence ‘truckmount’) and runs hoses into the property, it has to be parked very close to the property, which can sometimes be difficult, and often can’t reach up to difficult to access properties such as offices and flats. Powered by diesel or petrol generators which aren’t especially environmentally friendly and are very noisy which can often be annoying for your neighbours! After extensive research and investment we have now sourced what we believe to be the most effective portable equipment on the market. In 99% of cases we find that it matches the power and cleaning ability of a ‘truckmount’, but without any of these disadvantages. Q. Friends who have had carpets cleaned by other companies have said that the carpets seemed to get dirty quickly afterwards. Does this happen with your process? A. Not with us! Some of the poorer quality operators use soaps or detergents which are not rinsed out of the carpet properly – this then tends to attract soiling to the carpet more quickly. This is probably why your friend had this problem. At A Brighter Home we use the best, most advanced cleaning solutions on the market which are designed not to cause this type of problem. Q. I had my carpets cleaned a few years ago by another company and they took 2 or 3 days to dry. You say you get most carpets dry in about 1-2 hours – how is your process different? A. Once the cleaning solution has done its job to clean the carpet, the drying time is all down to how effective the vacuum and airflow is on the machine doing the cleaning. Our carpet cleaning machines are amongst the most powerful portable units on the market – their dual vacuum system in conjunction with Wonder Wand® technology ensures we remove as much moisture as possible. If your carpet has a very thick pile or is very absorbent, our operator may also use a secondary buffing process as part of the clean which will also help to minimise the drying time. Q. Do you carry out on site quotes before the day of the clean? A. In most cases this simply isn’t necessary (except for commercial cleans). Our team on the phones have many years of experience and in 99% of cases can provide you with an accurate quote. All of our operators are highly trained and will carry out a full survey of the clean with you before they start – any potential issues or pre-existing conditions will be highlighted at this point. 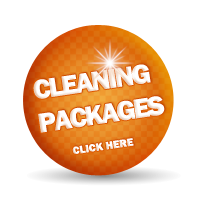 If your item is not safe to be cleaned or we do not believe that we can achieve the required results then we will not charge you – although in our experience this is very rare.